The Roman Anglican: A hidden gem of Florence: the Oratorio dei Buonomini di San Martino. 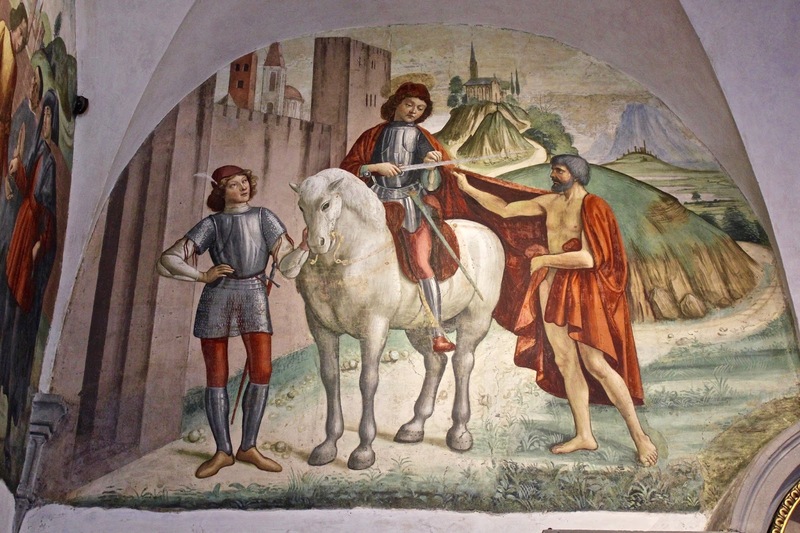 A hidden gem of Florence: the Oratorio dei Buonomini di San Martino. Many imagine Florence to be a small central Italian city with not much to offer outside the Uffizi or the usual bunch of famous churches. In fact, it is not entirely so - there is always some hidden gem to discover in Fiorenza. 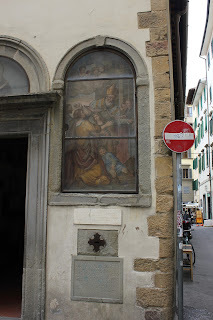 Not too far from the Piazza della Signoria and the Medieval church of Orsanmichele we can find a little oratory with some great Quattrocento frescoes and a fascinating history. 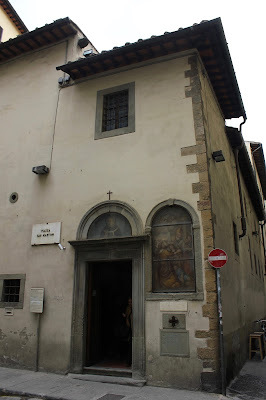 This is hidden Florence. 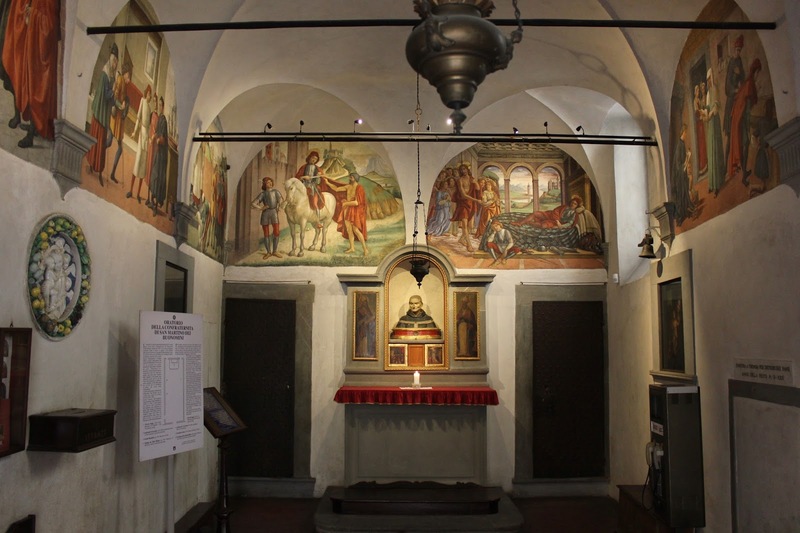 A small church was known to be located next to the great monastery known as the Badia Fiorentina founded in the 10th century and dedicated after St. Martin: San Martino al Vescovo. Its construction was commissioned by great Florentine families such as the Donati and the Alighieri - Dante's house is in fact only a block away! This is also where Dante married Gemma Donati. During the late Middle Ages, with the demographic growth and urban expansion of the city some churches had to be moved, or, as in the case of San Martino, suppressed. 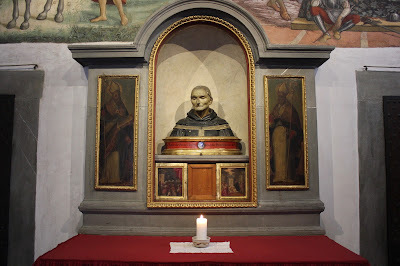 After the cessation of the parochial function of the church building, San Martino was given to a charitable company founded by bishop Saint Antoninus of Florence. Until then, only hospitals or charitable confraternities could be found in what was the Italian peninsula (which should change your tv-inspired view about the Renaissance...), but since the 15th century new specialised structures were created, such as Brunelleschi's Spedale degli Innocenti, an orphanage. 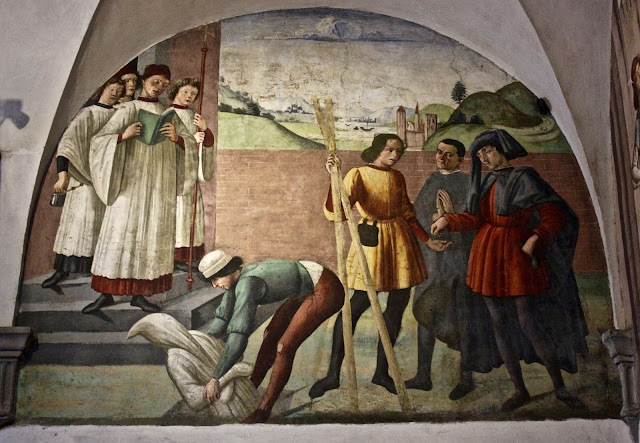 The Compagnia dei Buonomini di San Martino (Company of the good men of Saint Martin) was founded in 1441, composed of twelve men whose goal was to help the poveri verghognosi - the poor who were ashamed to be so - which is to say those members of noble or wealthy families that fell into disgrace because of economic or political reasons and who would not beg for a sense of modesty and decency. 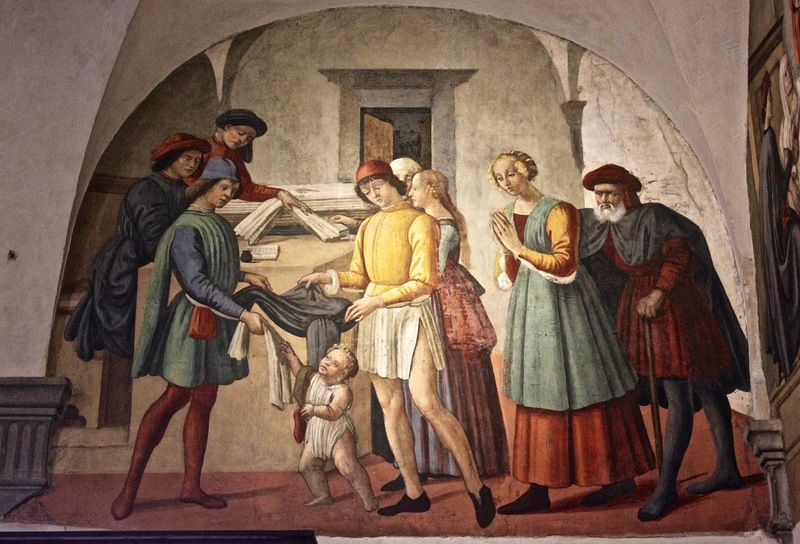 The brothers still serve the modern version of the poveri verghognosi - they used to wear black copes with a sort of red hood, just like the figures in the oratory's frescoes which was rebuilt in 1479. The company was so well-respected that soon the whole city admired them and even pope Eugene IV praised and referred to them as the Agnelli di Firenze - the lambs of Florence, whereas Savonarola, the deranged Dominican preacher, donated 3,000 florins to the company. Since their foundation the Buonomini - the charitable men - light a candle near the main door when they need donations. 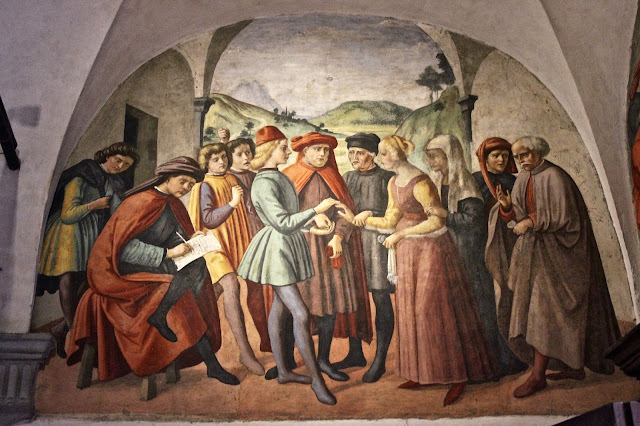 The Italian idiom "essere ridotti al lumicino" (to be penniless) was inspired by this! 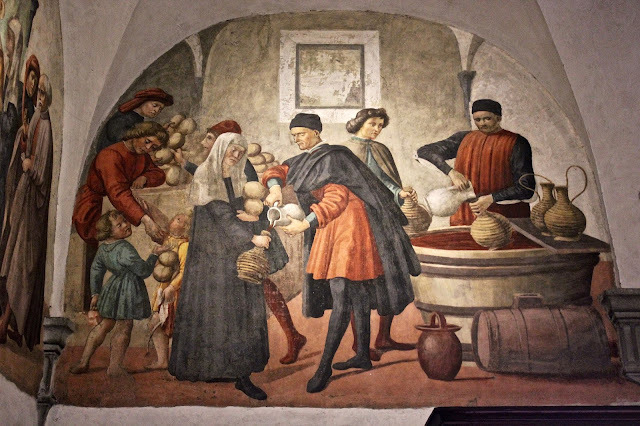 With the recognition of the order for its discreet mission, it is easy to imagine the sustainment given to it from noble and wealthy Florentine families. 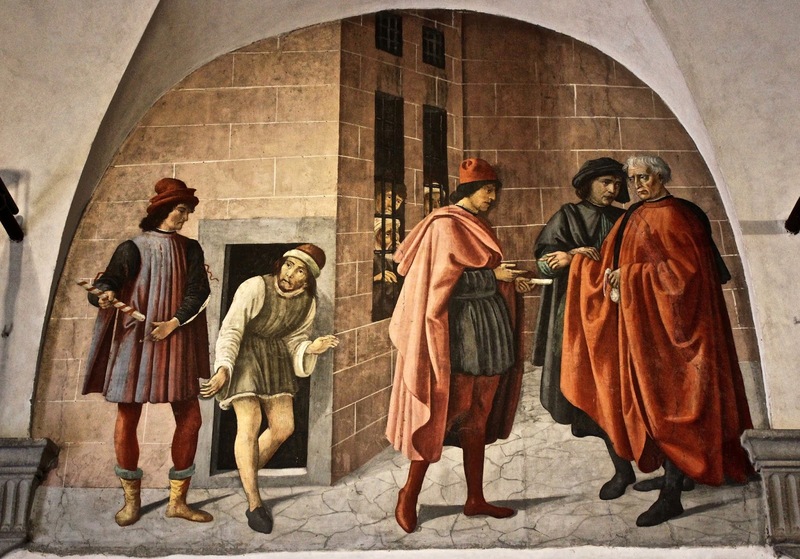 Soon the order commissioned the decoration of their Quattrocento oratory. 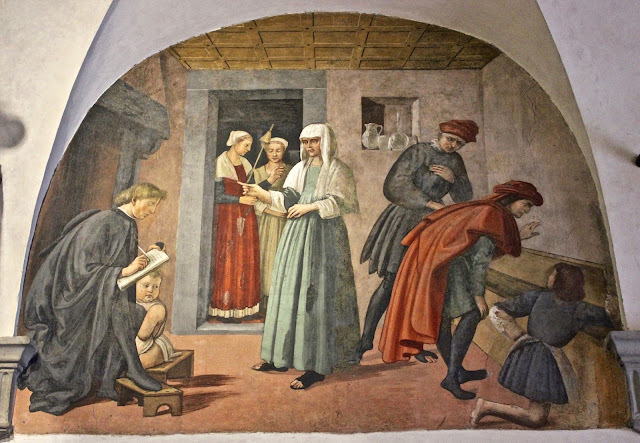 The frescoes were commissioned to an artist who used to work in Domenico Ghirlandaio's workshop, the scholars have identified this artist as Francesco d'Antonio, a miniature illuminator that lived and worked in that area or as Domenico di Giovanni who worked with his master in the Tornabuoni Chapel in Santa Maria Novella. 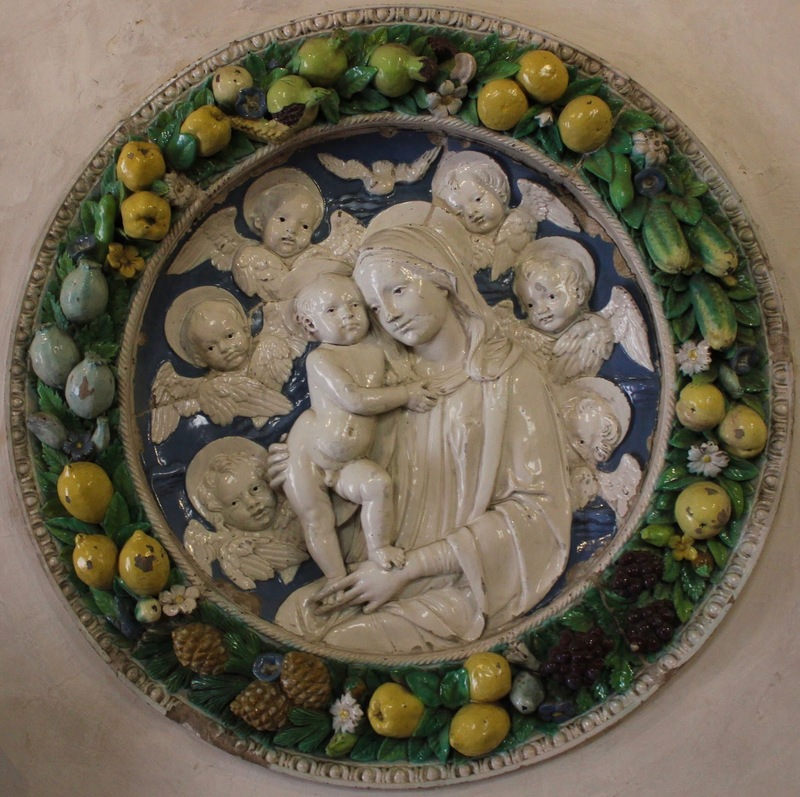 The ten lunettes are decorated with stories from the life of Saint Martin, the great charitable saint, the great works of mercy and two more scenes representing the inventory and matrimony - surely influenced by the Company of Notaries and Judges, which was located just nearby the oratory. The lunettes have great interest, both sociologically and historically, as well as artistically, because they portrait with great fidelity the life in Quattrocento Florence in such a great quality and detail that only Ghirlandaio could offer. 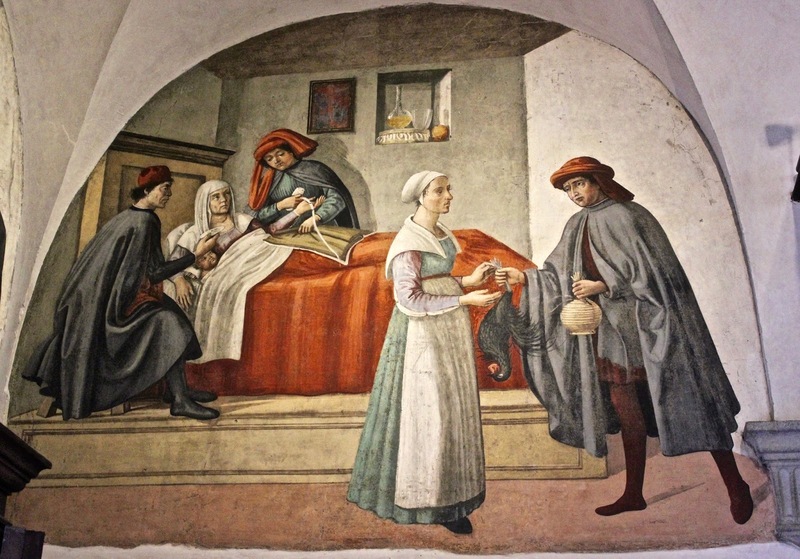 For example, in the first lunette on the left, there is a reproduction of the Visit to the Sick, where the Buonomini offer chicken and wine to a woman who has just given birth to a child and who is not wealthy as she once was, her former condition is represented in the form of a servant who collects the gifts for the woman. The Buonomini also offer clothes for the baby. Beside the frescoes, the oratory is decorated with a bust of Saint Antonine of Florence attributed to Verrocchio and a refined Madonna and Child by the school of Perugino. 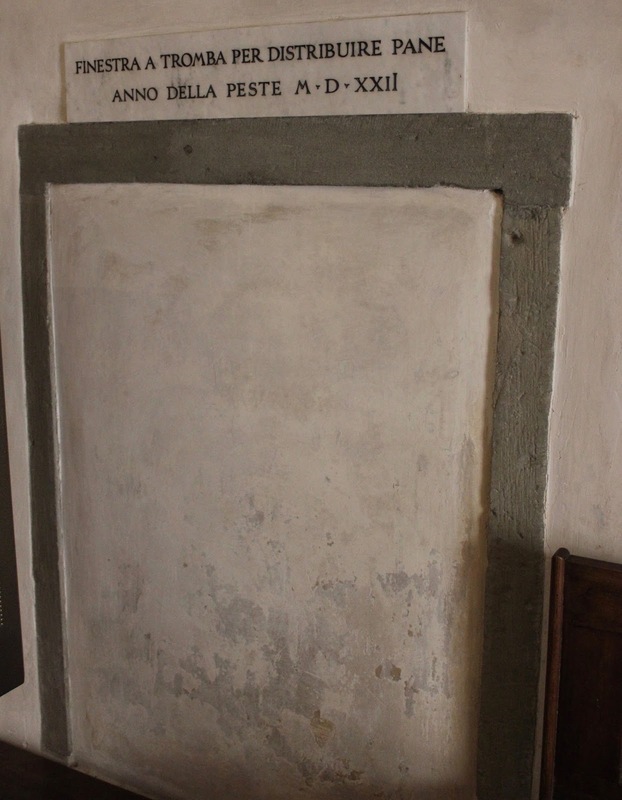 Above the door is a tabernacle with Saint Martin who gives alms to the poor by Cosimo Ulivelli, beneath it is the hole for the donation of alms. 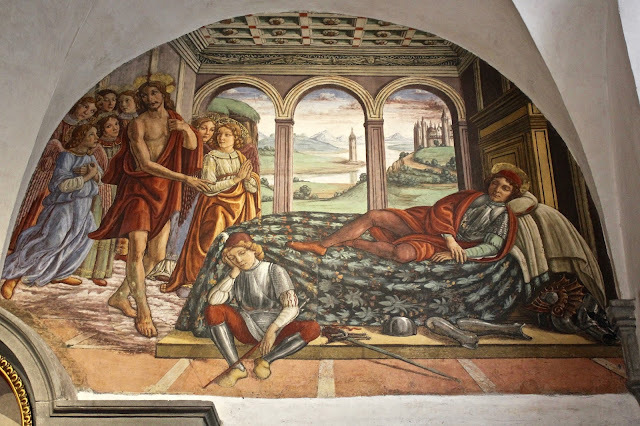 Thanks Edoardo, these are a nice find for my class on Italian Genre art. 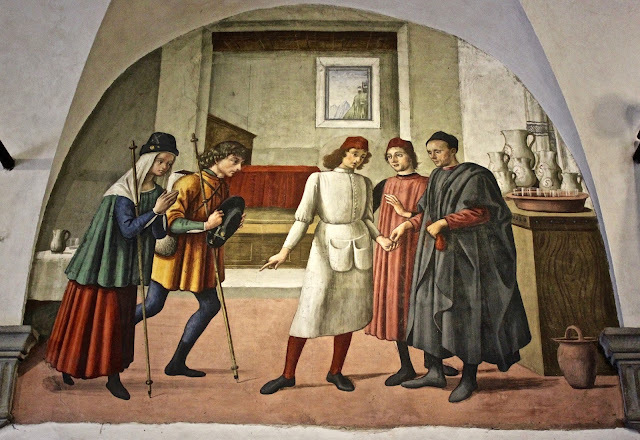 A pleasure! I am glad to be useful.